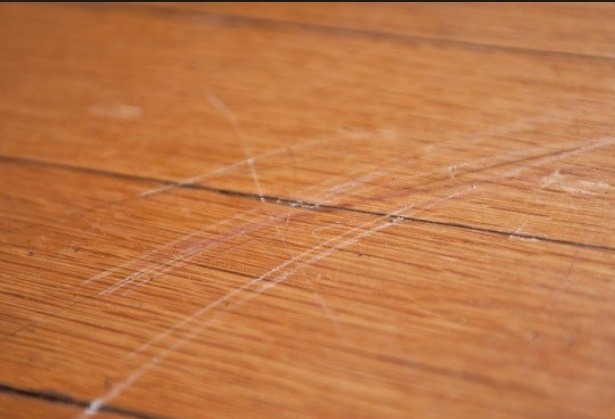 Fix To Your Stubborn Wooden Floor Or Wooden Table Scratches. Go out in your back yard or at the grocery store and get a pecan or pack of pecans that are cracked (discard the shells). Use the pecan to rub across the scratched area of your wooden surface until the scratches are gone.